Mix equal parts mayonnaise and sour cream. Add blue cheese crumbles (the amount to your taste). Add pepper if you desire. 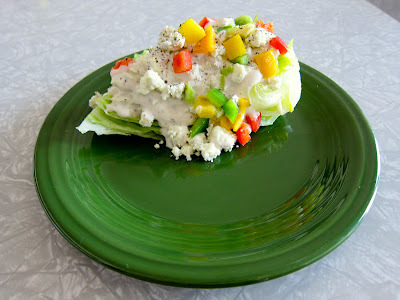 Let the dressing sit in the refrigerator at least an hour for the flavors to meld. THAT IS IT!!! !